They is no agreed universal size for wheel sizes by the all manufactures, each with slight different sizes. The reason? Possibly because slot car manufactures want customers to buy from their own range of spare parts. Unfortunately like wheels, they is no agreed universal size for axles sizes by the all manufactures, each with slight different sizes. The reason? Possibly because slot car manufactures want customers to buy from their own range of spare parts. Even if a manufactures state they axles are 2.38mm this may not be an accurate fit to other manufactures who say the same. For example both Slot.it and NSR size their axles at (3/32) But in reality NSR axles are slightly smaller at 2.37mm than Slot.it axles which are 2.38mm. It is possible to mix certain manufacture parts with others. We suggest to use the manufactures own parts on their cars where possible. Another solution would be to use the Scaleauto Reamer tool (SC-5070) aimed to clear burrs and material excess that can adjust the diameter for 2mm, 2,38mm (this is 3/32) and 3mm drills. 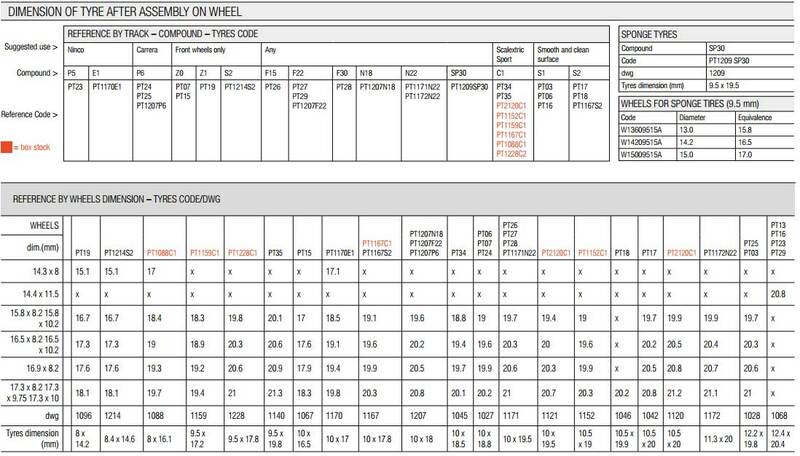 Slot.it TYRES and WHEELS size guide. 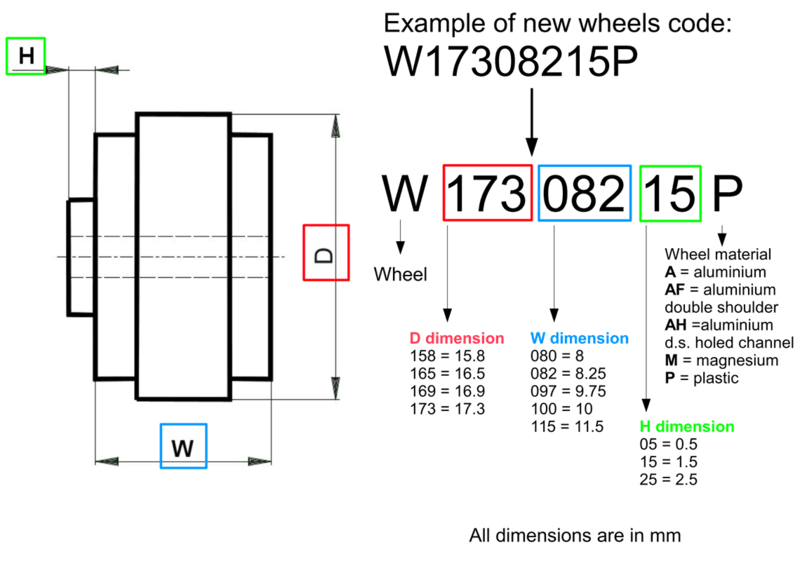 Slot.it gear ratio chart for PINIONS, INLINE CROWN GEARS, SIDEWINDER SPUR GEARS and ANGLEWINDER GEARS.